Vermouth is a common ingredient in many different cocktails and particularly well known for its use in the classic Manhattan and Martini. It is an aromatised, fortified wine flavored with various botanicals which include roots, barks, flowers, seeds, herbs and spices. Vermouth comes in different flavors and though the modern versions of the beverage were first produced in Turin, Italy, the history of using herbs, and spices in fortified drinks for medicinal purposes dates back many centuries. The use of botanicals in fermented alcoholic beverages dates back many centuries in the ancient lands of China and India where the medicinal use of herbs and spices are well know. The ancient Greeks are also known to have infused wine with resins, spices and herbs to improve its taste. In China, rice has been used to make wine for many years by fermentation of rice starch that has been converted to sugars. Consumption of drinks mixed with herbs or roots is said to have begun in China in the Xia dynasty c. 2070-1600 BCE, and continued through the Shang and Western Zhou dynasties as the knowledge of herbs and its use for medicinal purposes evolved. 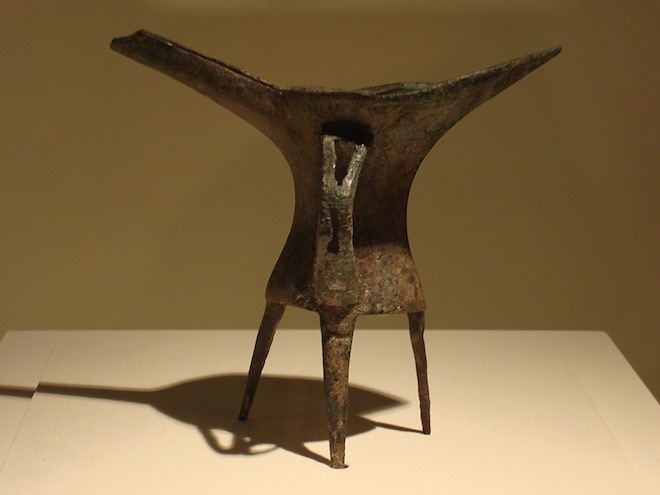 Various bronze wine vessels have been excavated in China, including in 1984, in Yanshi, Henan Province. Jue is a Chinese ritual vessel known to have been used for ceremonial purposes during the Xia, Shang, and Zhou dynasties to serve warm wine. During the Shang dynasty, medicinal alcohol and boiled medicinal compounds were used for treating illnesses. Yi Yin, a minister from the founding of the Shang dynasty is known to have created different medicinal liquors by adding a variety of herbs to boiling water. The earliest mention of herbs and spices in Indian literature can be found in the ancient Hindu scriptures of Rig Veda, Yajur Veda and Atharva Veda which lists a number of healing plants. The Rig Veda which is the first of the four Vedas, is said to be composed between about 1500 and 1200 BCE. The Atharva Veda contains a reference to a liquor called 'surā' made from different grains and spices. The Arthashastra which is an ancient Indian literature composed and expanded between the 2nd century BCE and 3rd century CE, mentions several different types of liquors made from rice, barley, sugarcane and grapes flavored with different herbs and spices for medicinal purposes. Learn about the interesting history of gin, after you have finished reading this article. 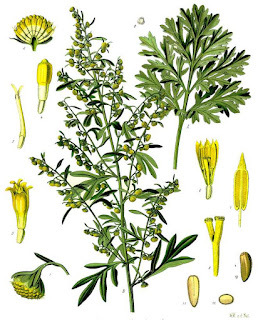 Wormwood is the common name for Artemisia absinthium, a plant known for its medicinal uses, aromatic compounds and a spicy bitter taste. 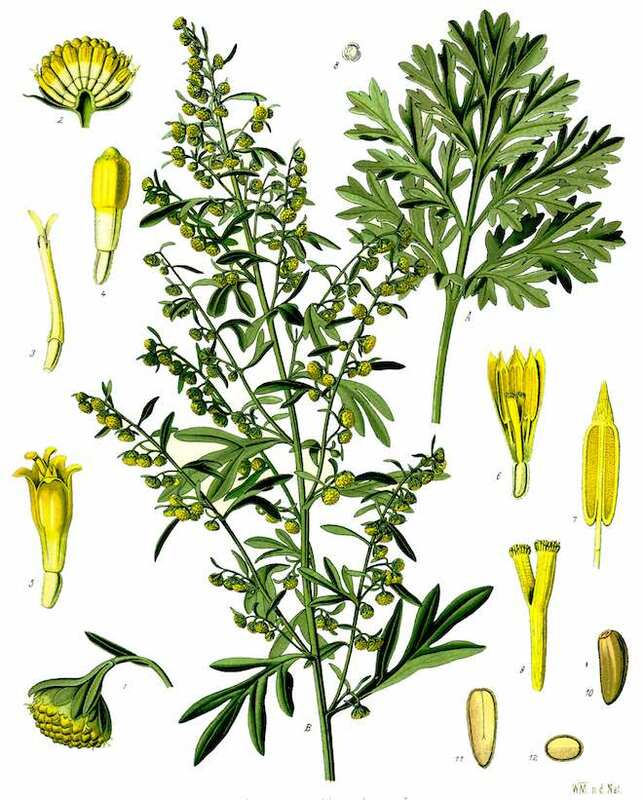 Wormwood was one of the original ingredients of vermouth, which started as a medicinal drink, in Germany around the 16th century, and was known to be effective at treating stomach disorders. The name 'vermouth' comes from the German word 'wermut' for wormwood. The ancient Egyptians are said to have used wormwood as a medicinal plant. The ancient Greeks also used wormwood as a treatment for various ailments and referred to it as 'apsinthos', which means bitter. Towards the end of the 18th century and the starting of the 19th century, two distinct versions of vermouth became established; one red and sweeter, and the other pale, dry and bitter. Antonio Benedetto Carpano from Turin, Italy, who studied to be a herbalist, invented the first sweet vermouth in 1786. It was made from white wine flavored with herbs and spices and fortified with a neutral grape spirit. The Carpano brand is now produced and distributed by Fratelli Branca Distillerie of Milan. In Italy, Cinzano owned by Gruppo Campari since 1999, and Martini & Rossi are the two other big producers of vermouth. In 1813, Joseph Noilly a fine wine and spirits merchant from France created the style that came to be known as dry vermouth or French vermouth. By mid 1850s, Joseph Noilly's son Louis Noilly and his son-in-law, Claudius Prat were producing Noilly Prat dry vermouth in the southern French village of Marseillan. Noilly Prat Original Dry is made from aged dry white wine blended with a mixture of fermented grape juice and little neutral alcohol, and then gently macerated with around 20 dried aromatic herbs and spices from all around the world. Noilly Prat produces a few different flavor variations of vermouth by using different combination of herbs and spices. Vermouth labels such as 'French' or 'Italian' refer to the style of the vermouth and not its place of origin. These labels refer to the original style of vermouth made in these two countries. Originally, the Italian firms that commercialized vermouth made a style known as vermouth rosso, which was commonly known as sweet vermouth or Italian vermouth. This style of vermouth is mildly bitter with a sweet taste from the addition of cane sugar or caramelized sugar. The original French vermouth was dry, pale and slightly bitter. Like the Italian vermouth, it was also made from white wines, but the selection of spices and herbs, and the process of how these botanicals were infused with the wine, was different. It must be noted that most vermouth makers, currently produce both styles of vermouth, dry and sweet with different flavors infused from a wide variety of herbs and spices from all around the world. Additionally sweet vermouth can be pale (bianco) or red (rosso). Towards the end of the 18th century and the beginning of the 19th century the use of vermouth as a medicinal liquor declined and its popularity as an apéritif increased, as it became the drink of the upper middle class of Turin and in other parts of Italy and France. Vermouth also became popular with the bartenders in the 19th century because of its pleasant herbal flavor and aroma. 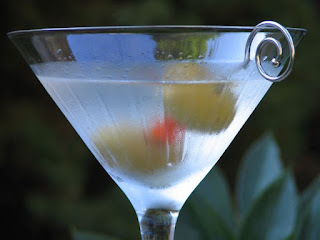 After the mid-19th century, many great vermouth based cocktails including the Martini, Manhattan and the Americano were invented. 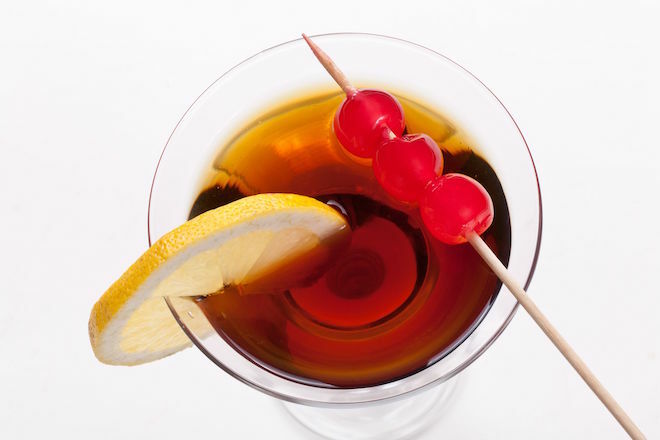 The Classic Dry Martini uses dry vermouth while the Manhattan and the Americano are made with sweet vermouth. In addition, the popular Vermouth cocktail, made its debut in 1869, composed of chilled vermouth and a twist of lemon peel with the occasional addition of bitters or maraschino liqueur. The Rob Roy which is similar to Manhattan but is made exclusively with Scotch whisky was created in 1894. 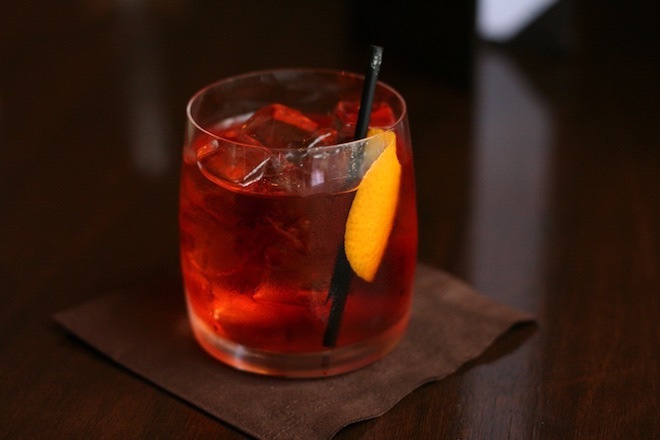 The Negroni which also uses sweet vermouth was invented in the early 20th century. Thank you Emanuel for your kind words. 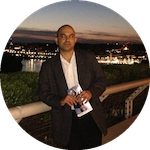 The history and culture of food and drinks is an important part of our society, and at Grapes & Grains we hope to continue researching and presenting different articles on this topic.